South America cichlids or New World cichlids are a popular group of freshwater fish from the family Cichlidae that are native to the lakes and rivers of Central and South America. This group consists of a variety of fish ranging in size, shape and disposition. Some of these fish are popular with first time aquarium owners because of their hardiness and ease of keeping. 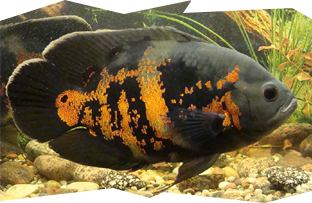 The most popular of the South American cichlids are the Oscar, Angelfish and Discus cichlid. South American cichlids can range in sizes from the very small Apistogramma to very large Oscars and Pike cichlids. Many of them are territorial and may display high levels of aggression. Because of their aggressive nature, they should only be kept with other cichlids of similar size and temperament. The exception to this rule is with Angelfish, Discus and dwarf cichlids, which can all mix with other community fish. A home aquarium for South American cichlids should have plenty of plants, rocks and caves for the fish to seek protection and claim territories. The tank water should be soft and acidic. This group contains many of the more popular South American Cichlids. Many of these fish are territorial and can display high levels of aggression. Their aggression levels can become even higher when breeding. Careful research should be done before mixing any of these cichlids with other fish to make sure they are compatible. The most popular of this group are the Oscar, the Green Terror and the Convict cichlid. Pike cichlids are a group of South American cichlids of the genus Crenicichla. They feature torpedo shaped bodies and can range in size from 4" to 24". They are also aggressive and can display higher levels of aggression towards other Pike cichlids. It is best to only keep them with other fish of a similar size and temperament. 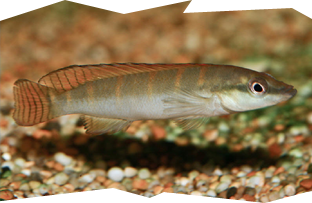 The most popular of these cichlids are the Crenicichla compressiceps and the Crenicichla regain. South American Hybrid cichlids are not native to the waters of Central and South America but are actually produced by selective breeding by aquarium owners. The unique shapes and colors of these cichlids keep them in high demand with aquarium owners. 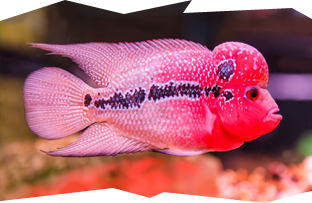 The most popular South American Hybrid cichlids are the Blood Parrot cichlid, the Flowerhorn and the Red Texas cichlid. Angelfish and Discus cichlids are the most popular of all the South American cichlids. 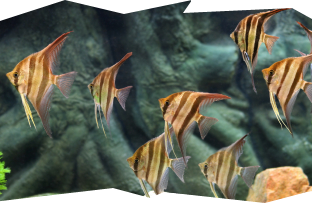 Angelfish are very popular with first time aquarium owners because of their ease of keeping and breeding. Discus fish continue to grow in popularity with hobbyists because of their unique shape and variety of color strains. However, they are more sensitive to water quality and only recommended for advanced hobbyists.